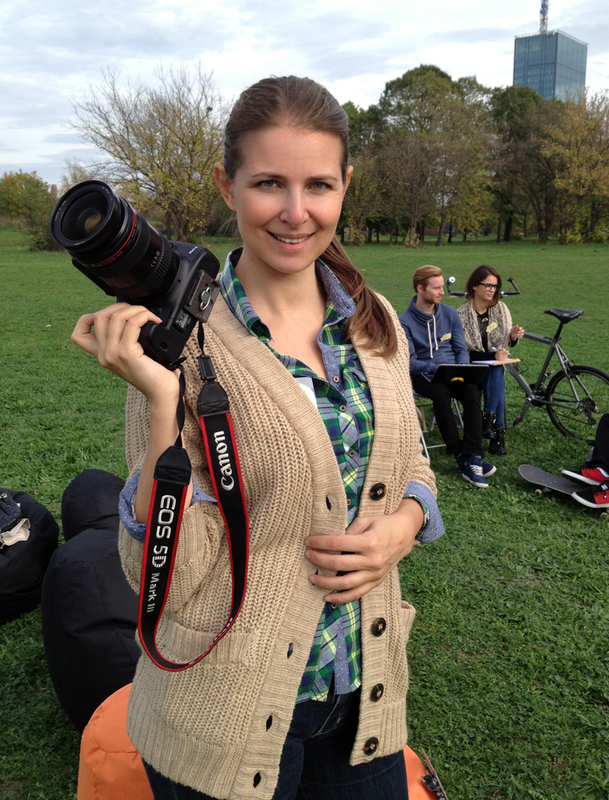 Today we welcome Svetlana Damjanac, an amazing photographer who produces constant and high quality pictures. She has built a multi-faceted portfolio never compromising on quality. We are very happy to learn about her experience and how she became so successful. Check out her portfolio here. Thank you very much for participating in our series of Stock Performer customer interviews! I am from Russia, but I live in Belgrade, Serbia, so I do all of my photography here in Belgrade. I would love to say that I have always been interested in photography, or that my grandpa left me his camera, but no. It happened in 2009, when my Russian friend told me she had tried to photograph something with a Nikon D80. She shot stuff like fire, leaves, grass (that’s what most microstockers do in the beginning, right?). She was so exited about it and told me I should try too, since I had a D90 at home (my husband’s hobby was to buy expensive cameras and never use them, and I loved small idiot-like cameras because they are compact). It was great fun finding different tutorials on how to photograph. The same friend told me once (soon after we “discovered” photography), that she wanted to try to earn some money by selling images on the Internet. She mentioned there were many stock sites for that. I said she was silly, as nobody would ever buy pictures like that. But, as she didn’t know English well, my task was to help translate the registrations forms, exams and so on. So I said, what the hell, I’ll try and photograph something for stock too (it was Shutterstock back then). It was November, and I did some Christmas images of decorations on white background. The photos were approved and sold for $2.16 all in one day… WOOOW!! The little red gift box was my bestseller and everybody in my family was proud of me. Luckily I found a forum with great Serbian people shooting stock, which was inspiring and motivating. I commited myself to try and shoot better stock. I should photograph people and learn how to use studio lights. My husband was of great support and as well as my forum friends. And so I did it, actually. Now, stock is my lifestyle and I am very happy, as I enjoy what I do. I planned that photo shoot as a commercial theme and I knew it would sell. It was a great responsibility as I worked (by myself) with a group of hired models in a new studio for the first time. But that’s not why I chose that image, I chose it because of the stats. It tells me, actually, it gives me hope that a lot of images I produce recently will start selling someday. The current situation at iStock is not motivating at all. This image was sitting quietly until it started selling nicely… was it a best match shake or something else? Go figure. So there is hope that a lot of nice, time and money consuming photos will see the light. Really, I was hoping the whole photo shoot would sell nicely (thanks to Stock Performer I can see I was kind of right). It’s not my bestseller and my goal actually, is to have more and more constantly good selling images than a couple of bestsellers. I usually try to find out what are the trends. I look at what sells best in my work, I listen to requests from iStock and I experiment photographing different things to find out where there is demand. I use Stock Performer every day to track my sales in real time, and I like other features like collection performance and top sales. 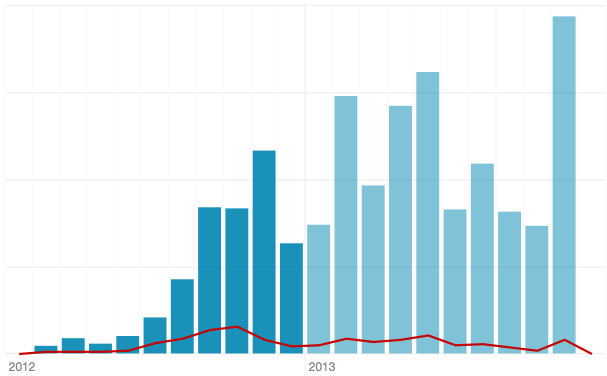 Especially I like to see what has sold on the Getty partner program. I believe in consistency most of all, and quality. I do what I think has a commercial value and I try to upload constantly. I diversify my portfolio by shooting different things, on location, mixed light and so on. I do lifestyle, business, beauty. Earlier, I was afraid to experiment, but now I feel confident that it’s not the technical perfection that sells an image, but it’s commerciality. I shoot what I think will sell and do it as often as I can. I have an assistant. I used to work by myself, but it’s easier to work with somebody who is here to help. She is still learning and I’m happy with her. She also does parts of the retouching. My job is the rest: planning, finding models, finding locations, buying props and clothes, setting the light and photographing, retouching (the other part, mostly beauty shots) and uploading. I also have a make-up artist (my friend). So we have a lot of fun working together. As for organizing myself to produce, sincerely, it’s not a big problem. As I said, stock is my lifestyle now. Remaining motivated is very important! I always have ideas for photo shoots in my head, so when I feel it’s a good time, I do it. I also have a family and two kids going to school, so I have to share my attention and cannot spend 24/7 in my studio. I don’t think I can advise much here. I have an assistant and it helps a lot. It’s good if you find an experienced one, so you don’t have to spend your time teaching stuff. Or at least find a person who wants to learn and is interested in photography. You have to have a make up artist if you shoot beauty. For lifestyle, models can do their make up easily (of course under your control). I have been visiting a make up school here in Belgrade and learned a lot about the face, so it helps when I do beauty retouching. I can do some make up, but its always better let the professional do it. I never used stylist. I know it would be easier with stylist, but I never found one. I have enough clothes in the studio, so I don’t worry if models bring something unsuitable (which mostly happens). As for retouch, I do all of my beauty images. I do actually all images by myself even if it was previously retouched by assistant. I know I’m crazy, but it’s what I am. It’s good if you have a retouching person whose style matches yours ideally, otherwise you will lose time and nerves. I upload all by myself using Deep Meta, which makes it easy. If you want to organize a team, be prepared to take responsibilities as they depend on you and you have to pay them. I don’t know really. I see a lot of changes recently. But I can’t predict future. As long as people have eyes, there will be demand for visual content. Will it be photos or videos (like newspapers in Harry Potter)? I like to think positive. As there is a huge amount of great photographers and images (and the number is getting bigger), it’s important to produce photos with high commercial value, to be constant, to follow trends and most important to adjust to the changes. Nothing special. I spend time with my family. We go to movies, eating out or travel when kids have school vacations. If you haven’t joined Stock Performer yet, join the free trial now! Fantastic interview with a great photographer and an interesting person. Thank you!